Children's Picture Book Database at Miami University | Jump into January: A journey around the year. Jump into January: A journey around the year. 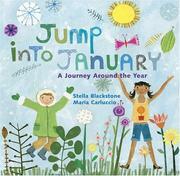 Blackstone, Stella, “Jump into January: A journey around the year.,” Children's Picture Book Database at Miami University, accessed April 19, 2019, https://dlp.lib.miamioh.edu/picturebook/items/show/13361.